Guatemala is a country with a mix of cultures, great food, beautiful music and always changing weather. Commonly known as of one of the most dangerous capital cities in the world – Guatemala City and the whole country of Guatemala holds a notorious name. However, do not get put off just too early as Guatemala for tourists is as safe as any other country. Better start getting excited about all the beautiful places you will be able to visit. We have created a guide to backpacking Guatemala things to know before you go, to help you prepare for your visit to the beautiful country. Related: Guatemala 2 week itinerary for your perfect budget trip. The beautiful nature park in Flores with ancient Mayan city within its walls. Guatemala is a country of mountains, valleys, and ocean. Weather changes as the altitude changes so bring different types of clothing. Summer temperatures and sunshine will greet you, once you fly into Guatemala City. However, depending on where you will head next to that summer vibe might fade. It is chilly in the mornings mostly everywhere around Guatemala, but the higher your altitude, the colder it will be. Mornings in Guatemala are our favorite time, the air is so fresh, the gentle wind breeze gives you the feeling of natures proximity and the coffee is always hot and freshly brewed anywhere you go. If you plan to hike a volcano (and you must) bring a warm jacket, pants, shoes, and even gloves. If you plan to hang around the lowlands, grab a light jacket to keep you warm in the evenings. Around Lake Atitlan it is very hot during the day, so you can sunbathe, go swimming etc. but it gets cold during the night so we had to pull our hiking jackets out. When we went climbing Tajumulco volcano in the middle of the night it was just a couple degrees above 0. However, it got really hot during the midday so we had to take all our layers off, and we got some pretty bad wind/sunburns, so take a high SPF sunscreen with you as the sun burns as hell! On top of Tajumulco volcano. Well, we are from Europe and we had our MAESTRO (only Dutch people know, what the hell is that) and our MasterCard credit. ATMs do not accept MAESTRO and sometimes also not Mastercard so VISA is your best option, and do bring a credit card in case all goes wrong. In our case, all went wrong, as always. As MAESTRO cards were not accepted our only choice was to use our credit card. Well, credit cards take steep commissions if used for withdrawals abroad. We had only one credit card with a limit of $1200 per month, and as we bought our tickets from the card half of the limit was already reached. At one point we were in the middle of Guatemala with no money and not being able to withdraw it. After a long and costly ($80 per call as it costs about $2.40 per minute for overseas calls) conversation with the bank, they increased the limit of our card and we were saved. However, be mindful of the withdrawing fees which might be anything between $7 to $20 per withdrawal. Take as much money as you can out once and hide it around different places on your body or baggage. Also, the best thing to do is to take the good old cash ($$$) as Guatemalans love dollars (EUR is widely accepted as well). Is Guatemala safe might be the first question that pops into your mind. That was the first question our parents asked when we told them we are going to backpack in Guatemala. Guatemala is as safe as other places in the world and as dangerous as other places. Such a philosophical and vague statement, you think. Well, but it really depends where you go and how you act. Thus, you create risky situations for yourself or are always aware of your surroundings. Seems like it is not much of an advice, but it’s the truth. Stay away from shady neighborhoods and do not walk around at night alone in big cities. Do not wear flashy accessories and do not wear your $2000 camera on a shoulder strap or hanging loosely. It’s just common sense. Guatemalans are really friendly and nice people. Tourism is a big boost for their economy so tourists are always welcome. Yet, if you present yourself as a rich westerner, who has loads of money to spare, you might be considered an easy target. But really, do not be scared or worried, Guatemala is safe. Lake Atitlan might be the most peaceful place on earth. Always take care of your valuables. Watch them all the time, as you would anywhere in the world. Do not leave your bags unattended. Thieves are as common in Guatemala as they are in the metros of Paris . This point actually could be backpacking Guatemala things to know main advice. We traveled with an awesome anti-theft backpack which saved our stuff so many times. It is uncuttable and all the zippers are sealed. It is a great daypack. However, our usual backpacks are quite basic. We were careless and left them on top of the boat while we were sitting under the roof. The captain was also on top of the boat and snatched Kris’s sunglasses. $1 fake RayBan’s. What a good catch. However, our phone was there as well and we saw how he had tried to unlock it and accidentally had taken photos with the phone. Probably he left it as it is locked and too much hassle to wipe it for reselling. We found it all out only in the evening, so we could not do anything but just be in shock. However, this served as a great lesson for us to do not leave our belongings unattended. Do not make our mistakes! Spanish is the official language of Guatemala and predominantly they speak only Spanish. At big tourist locations, they will speak English, of course. However, knowing some basic Spanish is very useful. You can haggle, ask for directions, ask about the prices, transport timetables and make new friends. You also have to know some Spanish if you are wandering off the beaten path and not traveling with a tour group. If you do not know any Spanish or don’t really want to spend time learning, use google translate or a dictionary and you will be fine. Yet, a really cool thing you can do if you feel like learning a new language is taking a Spanish class somewhere around Lake Atitlan or Antigua. They have daily, weekly and monthly classes for very, very cheap! Perhaps you’ll take up a class, fall in love with Guatemala and never leave! True story! Food poisonings are common if you eat from street stalls or do not wash your fruit/vegetable. Tap water might be contaminated as well. Or you might accidentally drink infested water or have it as ice in your drink. We always eat from street stalls. We always have ice with our drinks. Again, don’t be us. 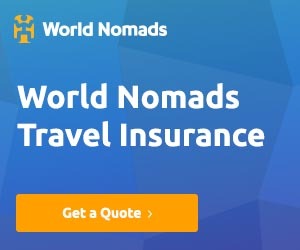 Do get a good travel insurance which WORKS in Guatemala. Also, take some medicine with you. Maybe we just tend to get sick often but better safe than sorry. We would truly recommend getting a good travel insurance. We usually do not get it ourselves when traveling in Europe etc. but when we go to Central America, we always get a travel insurance. Its simple – we have gotten sick every single time we have gone to a Latin American or Central American country, so we have learned from our mistakes. It is like a tradition already, so we just have to be careful, and you should be too! Peaceful morning in Antigua, enjoying the best coffee in the world. After reading our 6 tips on backpacking Guatemala things to know before you go, we are sure you are prepared. The safety and food tips are very common wherever you go. The same applies to Spanish in Spanish speaking countries. Definitely, you knew it all before, but at least we are here to reassure you about the importance of these things. If you have already planned your trip either after our itinerary sample or created one on your own, and you have read the backpacking Guatemala things to know before you go, you are ready! The only thing left, book your accommodations so you do not have to worry about a thing. You can just jump on the plane and go enjoy this beautiful country!